These late spring flowering Gladioli produce exotic arching sprays of florets; up to 10 per stem. Very strong and easy to grow. Select a sunny well drained position. 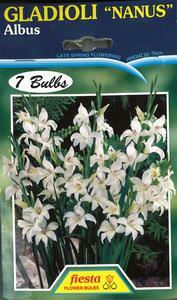 Excellent for borders, rockery edges, pots and tubs.They grow 50-70cm high. Plant in well worked soil in February to May to a depth of 5-7cm. 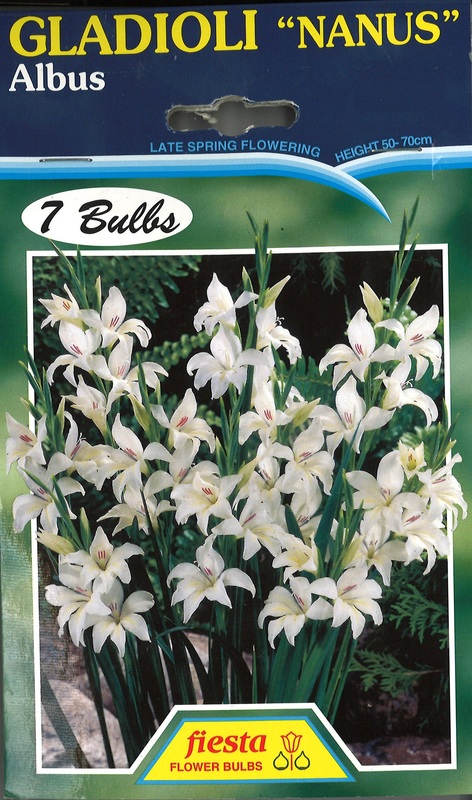 To keep clumps together, plant them in a bulb protection baskets and place it just below the soil surface. An occasional spraying of insecticide and fungicide is recommended to help control unwanted pests and diseases.